This weekend is a lucky time for all my Northeastern stitchy friends. Many of them are going to the Mecca of Yarnieness: The New York Sheep & Wool Festival a.k.a. Rhineback. Before I joined Ravelry I had never heard of Rhinebeck, but now it ranks up there with 1/2 carat diamond solitaire earrings on my wish list (and is more likely to happen). Honestly, I don’t really know what happens at Rhinebeck or what all is available to do there. But I’ve heard stories that make me want to go exploring. There have been words like Sheep, Alpaca, Hand-spun, Hand-dyed and Garlic Artichokes used. 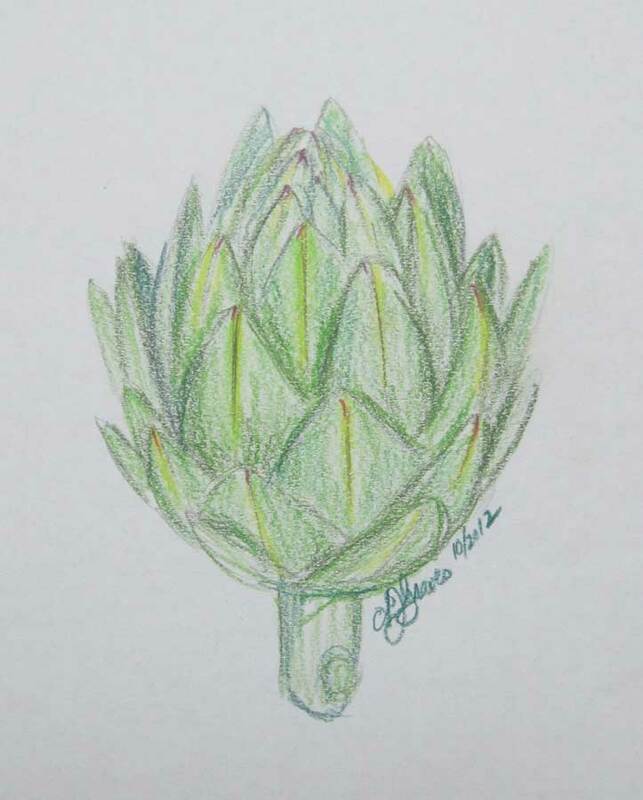 Someday I am going to Rhinebeck, I mean Garlic Artichokes people! Wow! In the meantime, all my stitchy pals that have made it to Rhinebeck this year. Pet a sheep and/or alpaca, purchase some gorgeous hand dyed hand-spun and enjoy the Garlic Artichokes for me. I’ve heard Rhinebeck is awesome! Kind of hard for me to justify the trip though, since I live 10 minutes from the MD Sheep and Wool festival. The thing that makes Rhinebeck better though is that you can wear your handmade stuff–it’s usually too hot in MD in May for sweaters and shawls! Yes, I could see wooly goodies being a bit too warm in Maryland in May. LOL!